You are currently browsing the Archaeofacts.com archives of Musings for the day Monday, July 9th, 2018. 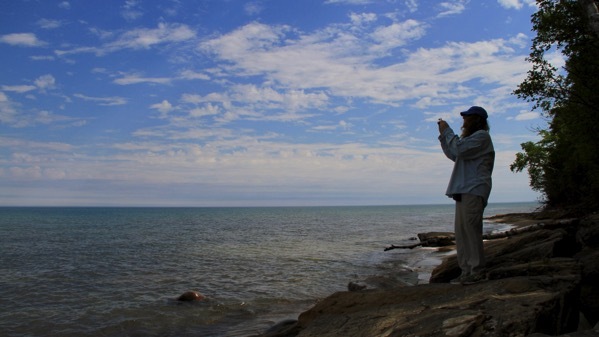 Indeed, the focus of today’s expedition was seeing Lake Superior. That’s me in bug- and sun-resistant clothing. No fashion plate am I. Turns out, today, almost, close-to NO bugs in this area. 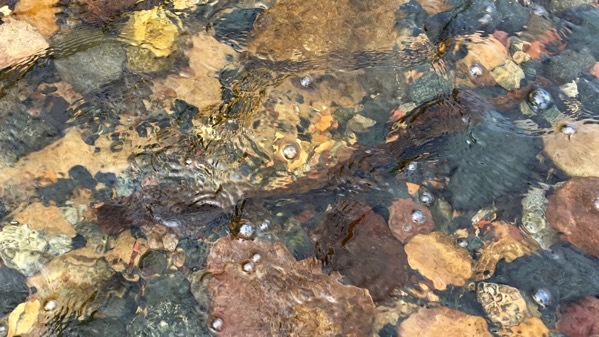 There at the mouth of Hurricane Creek we spotted two lampreys. I never remember seeing them in the wilds before. Scarred fish, yes; the critters, no. That brown “ribbon” across the middle of the frame: lamprey. 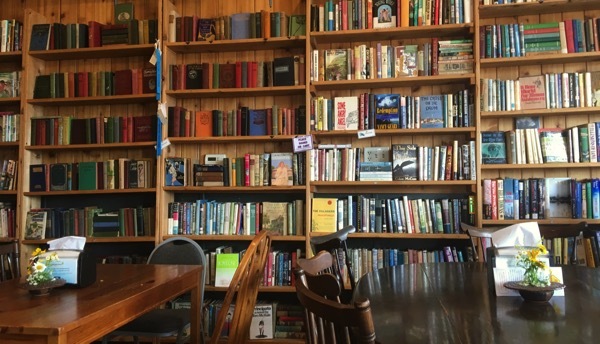 Instead of our usual return-to-Grand-Marais to lunch, we continued west and dined in a deli-coffee-bookstore in Munising. Yum. Such a lovely place. On a lark, we also did the Marshland Tour at the Refuge, and of course saw many Canada geese and swans. 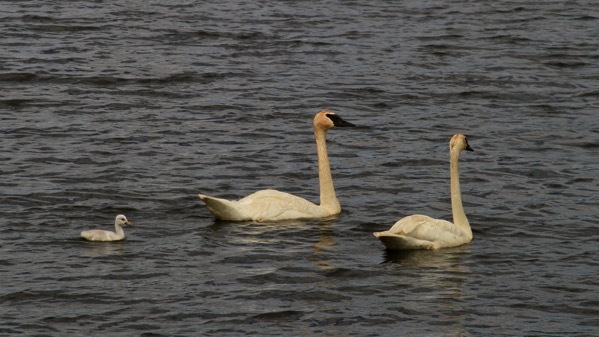 Most of the swans were far from the car, but this wee-family was close by. I will not mention the clouds of deer flies that rode on our rear-view mirrors; such a contrast to the near bug-free conditions on the south shore of Gitchee-Gumee.